In the midst of all of this cold air, snow (and recently, rain), there's some impressive work going on. Our team is doing a LOT, even though you can't see it. We're on conference calls, negotiating interesting deals, planning events, inspecting rides, ordering plush and souvenirs, checking hotel rooms and so much more. 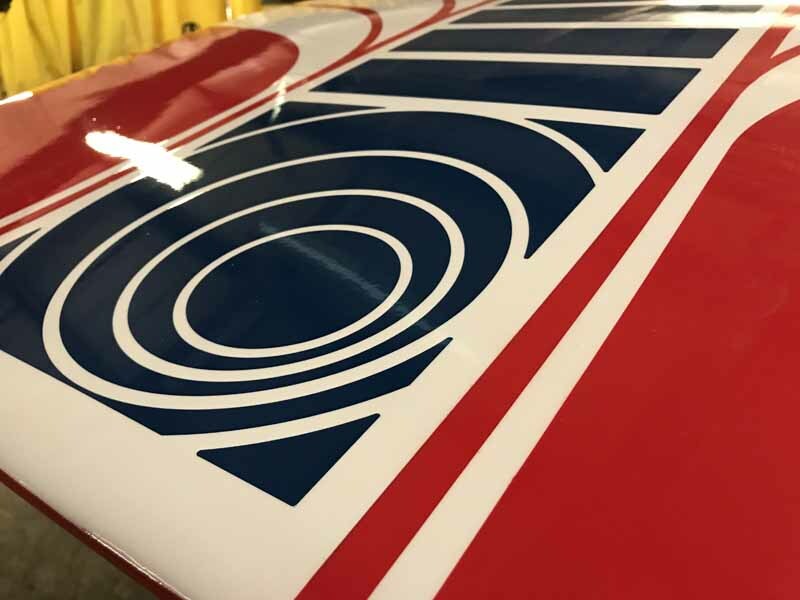 I was made aware of a very cool project happening right now, over at our paint shop. For this particular task, category is: teamwork. Every year, our ride mainteance team essentially takes ride vehicles down to their frames for inspection. After that's complete, they're rebuilt - unless there's cosmetic work to be done. 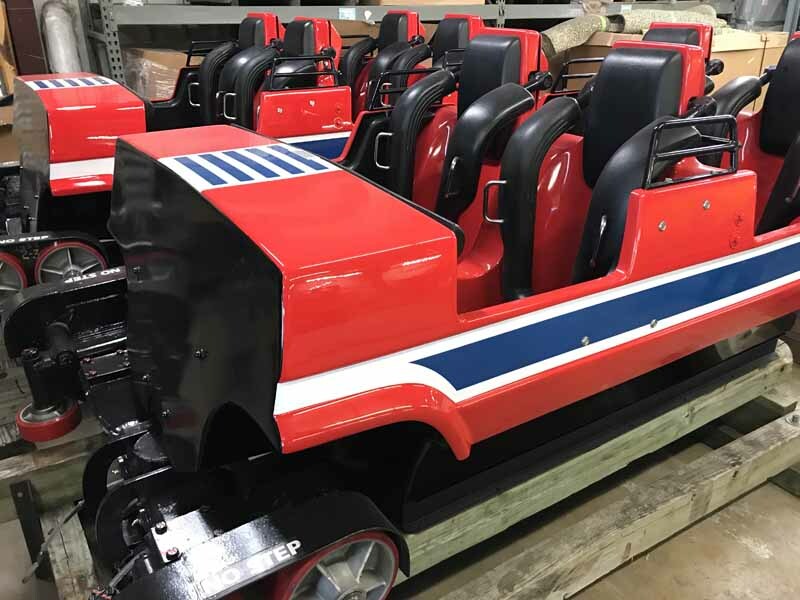 Right now, Corkscrew's trains are getting some additional cosmetic love. And I'm not talking foundation and eyeliner - it's love that dates waaaaay back to its early years. 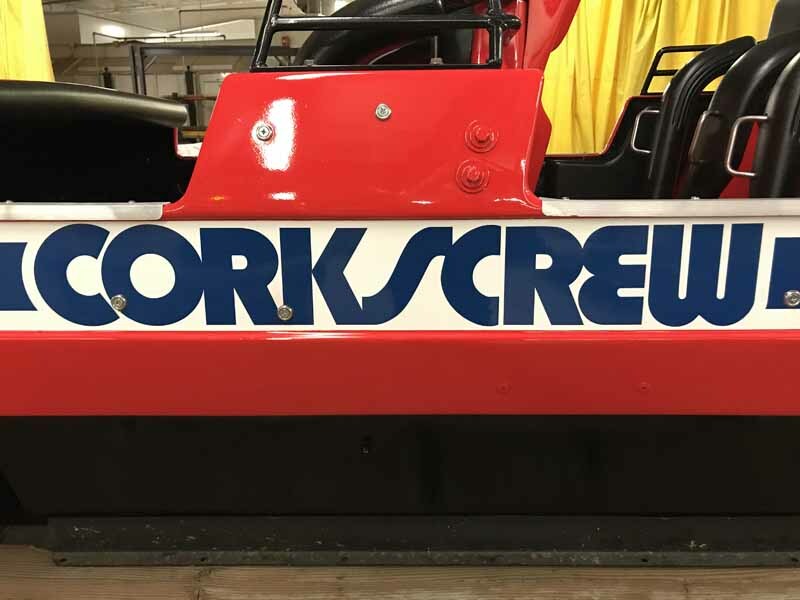 Our folks at the sign shop (who do so much more than signage) and our painters wanted to add a little something special to Corkscrew while the trains were being repainted. The opportunity presented itself, and here we are. They collaborated to bring you the retro livery from years ago. 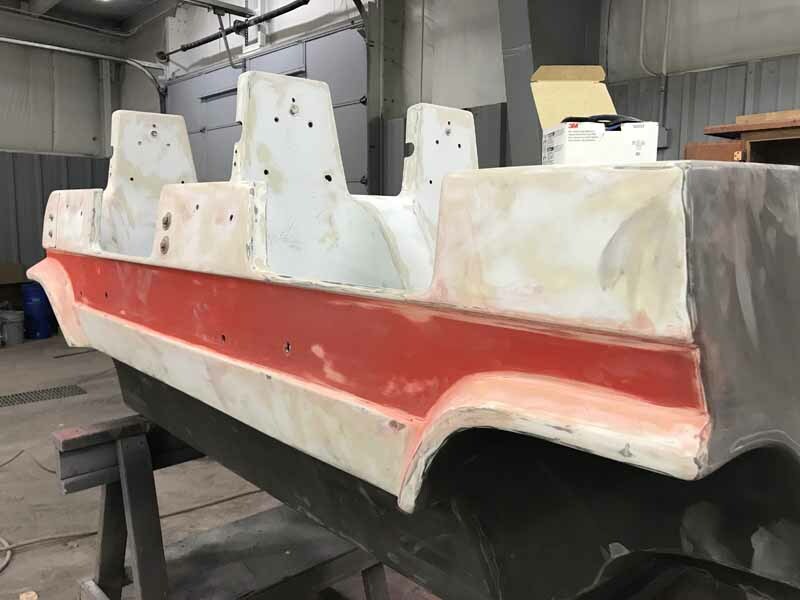 In the process, the fiberglass bodies are sanded and masking is added. 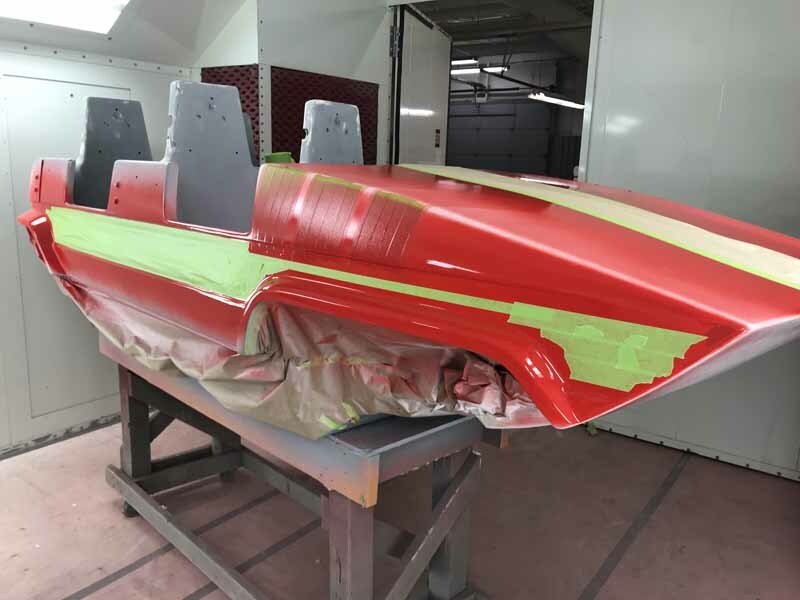 Then, after a little primer and base coat, the painters delicately add the graphics back onto the bodies. 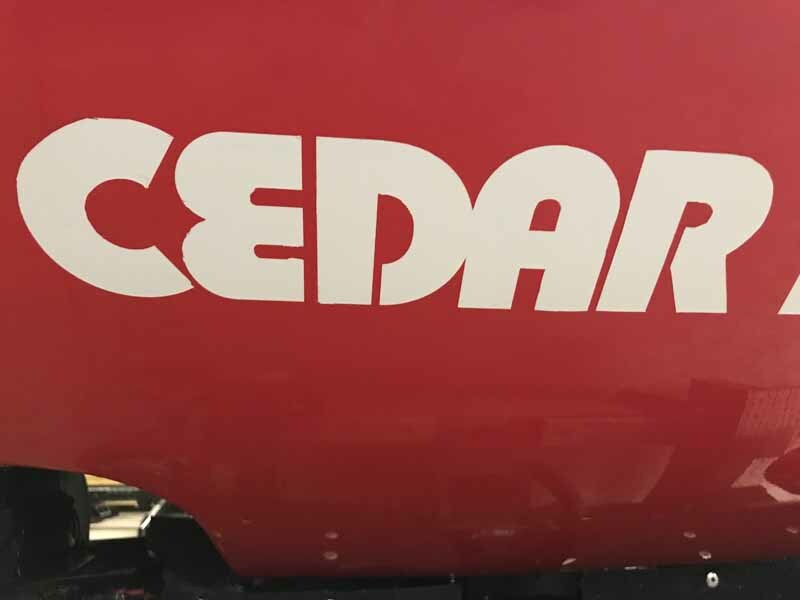 Note that none of these graphics are stickers - it's all hand painted with the help of a few templates from Maureen & Sam from our sign shop (you've met Maureen and Sam in previous blogs about both carousel refurbishment and Cedar Creek Mine Ride painting). Then, they add layers of striping and graphic treatments to complete the overall look, similar to how it was back in the day. These results are simply stunning in person. And since they're under shop lighting, it's like looking at a car rotating on a platform at the auto show! 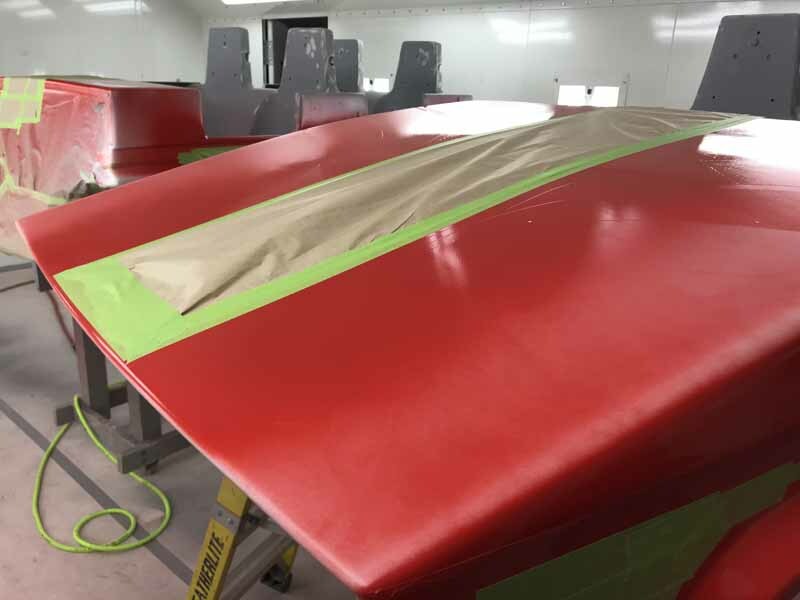 Speaking of autos, the paint gets a final clear coat, just like your car. It protects the graphics and keeps the body looking shiny and fancy. Little touches like these are important to our legacy as we approach our 150th Anniversary in 2020. 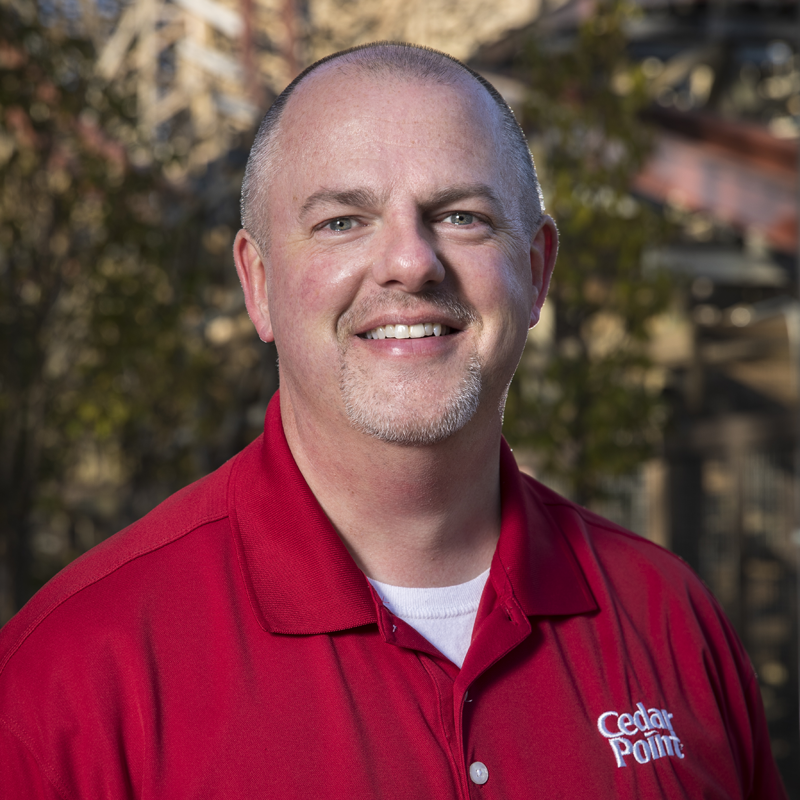 Our park has so much heritage, and a lot of it is preserved, thanks to our dedicated team. Here's our proud crew. From L-R: Dan (painter), Maureen, Sam (sign shop) & Zach (painter). 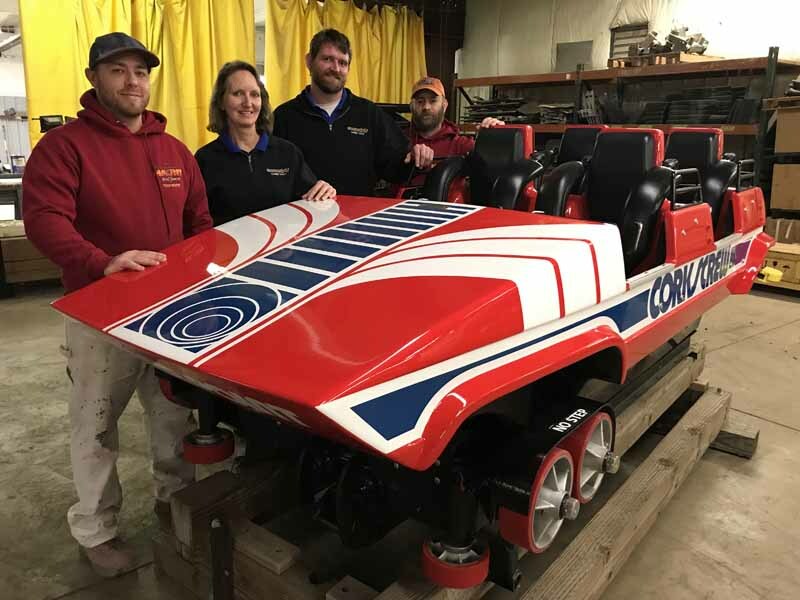 When you ride Corkscrew this summer, think of all the love that went into keeping this ride beautiful for future thrillseekers. The very last piece of the Forbidden Frontier map is here! The third piece of the map is here and we're closer to seeing the entire picture. 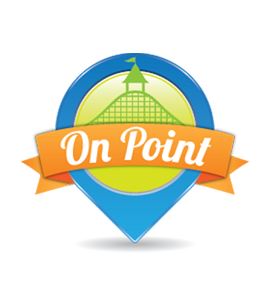 The next piece of the map to Forbidden Frontier on Adventure Island is revealed! 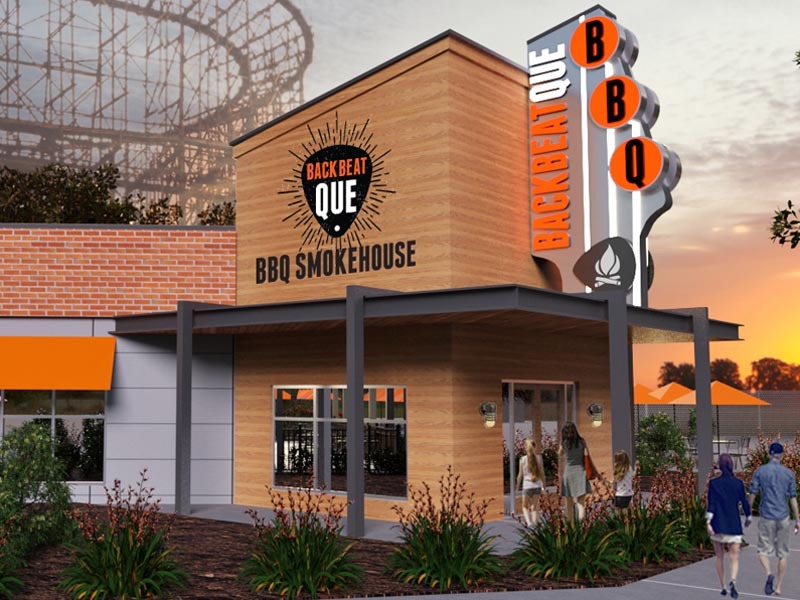 Enjoy two new dining experiences coming to the midways for 2019! The first piece of the map has been revealed! 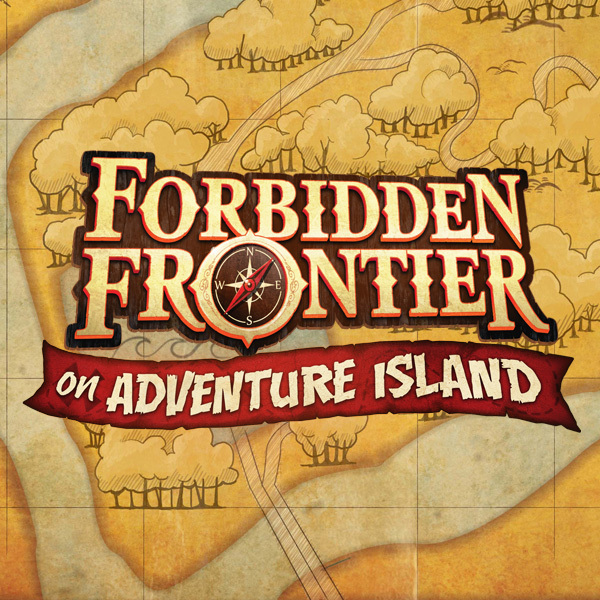 What is Forbidden Frontier on Adventure Island? Let's start putting the pieces together! Our Early Entry ride lineup for 2019 is here. 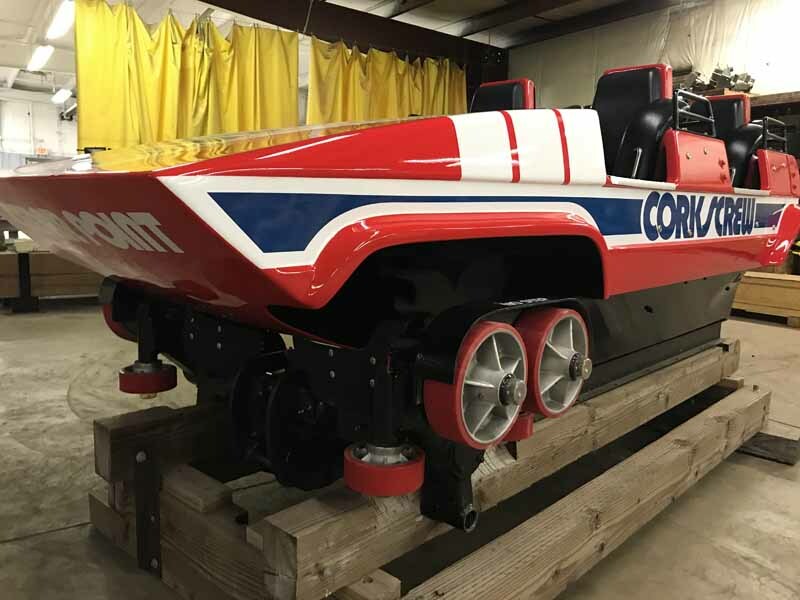 There's a "change" coming to our Corkscrew roller coaster this season. What is it? Read more to find out! 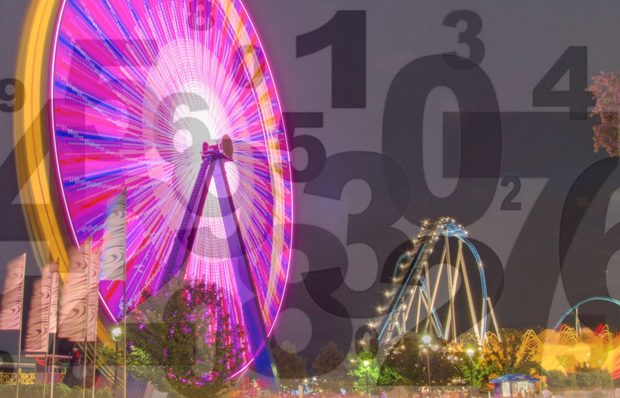 We reveal the top 5 attractions that gave the most rides in 2018. 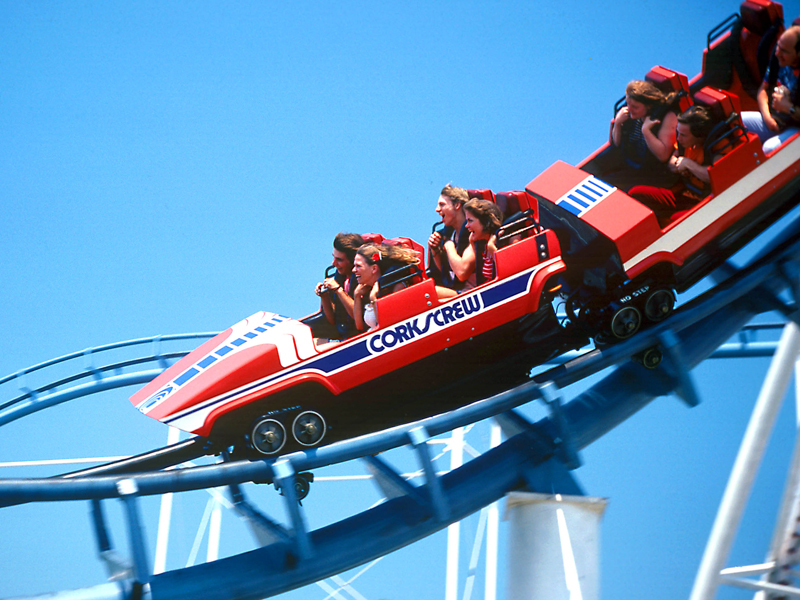 How many people rode our rides in 2018?